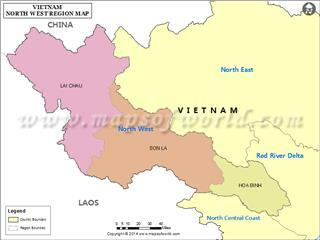 Ho Chi Minh City is located from 10°10' to 10°38' north latitude and from 106°22' to 106°54' east longitude. 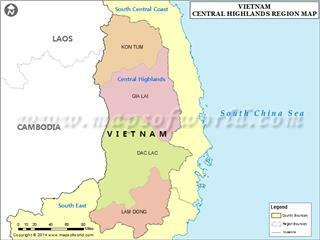 The city shares borders with Binh Duong province in the north, Tay Ninh province in the northwest, Dong Nai province in the east and the northeast, Ba Ria - Vung Tau in the southeast, and Long An and Tien Giang province in the southwest. 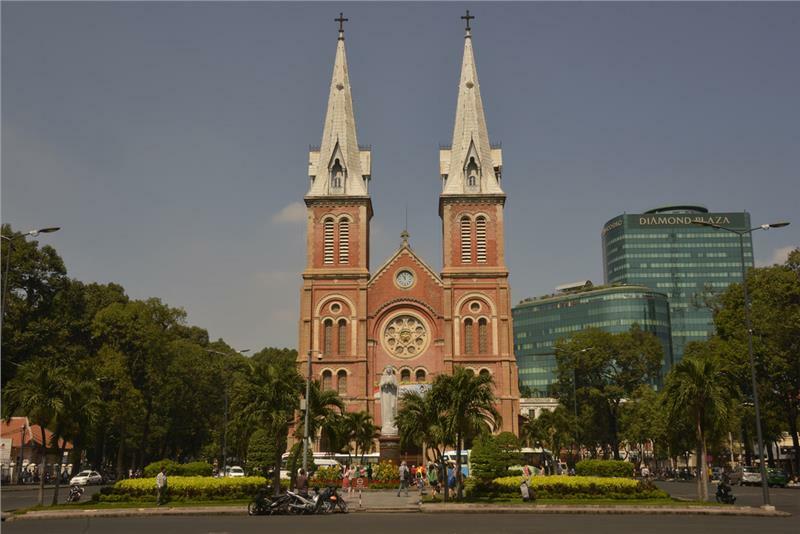 Located in the centre of Southeast Vietnam geography zone, Saigon is an important transportation hub connecting provinces of Vietnam. The city is also an international gateway. 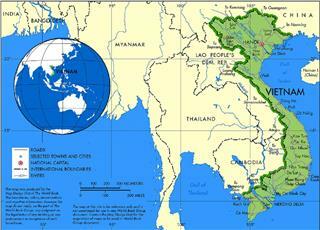 Situated at a transitional zone between Southeast Vietnam and Mekong Delta, Saigon topography is gradually lower from the north to the south and from the west to the east. The city is divided into three kinds of terrain including uplands, lowlands and downtown areas. Uplands are located in the north - northeast and the northwest parts with the average height of 10 - 25 meters. In addition, some hills are interspersed with the uplands. 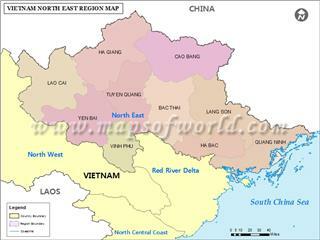 The highest hill is Long Binh with the elevation of 32 meters in District 9. On the other hand, lowlands lie in the south - southwest and southeast of the city having the altitude of around 1 meters. 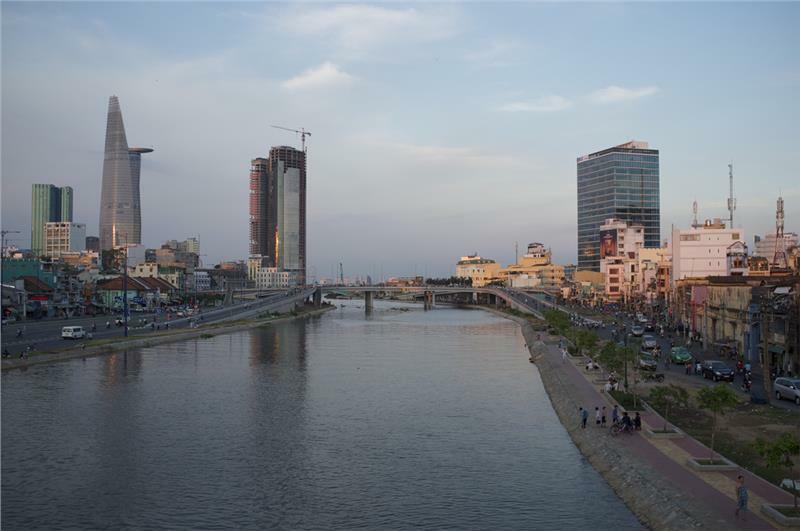 The downtown areas of Ho Chi Minh City include some parts of Thu Duc district, District 2, District 12, and Hoc Mon district having the average height of 5 - 10 meters. The geology of Saigon consists of two main types of sedimentary facies which are Pleistocene an Holocene exposed on the surface. Pleistocene sediments cover almost the northern, northwest and northeast areas of the city. Holocene sediments originated from seas, bays, rivers and so on. Holocene sediments formed some kinds of soil including marine alluvial soil (15,100 ha), acid sulphate soils (40, 800 ha), and alkaline soils (45, 500 ha). Besides, under the influence of natural factors ad human activities, the ancient alluvial sediments form gray soil as well. 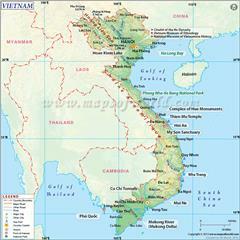 The gray soil in Ho Chi Minh City has more than 45,000 hectares (23.4% of the total area of the city. 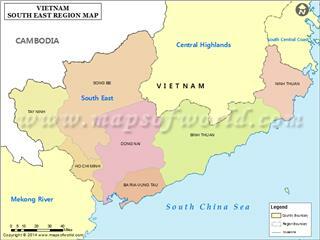 Lying in the tropical savanna climate, Saigon weather has the high temperature all around year. There are two distinct seasons in the city including rainy seasons and dry seasons. Rainy seasons begin from May to November with the hot and humid climate. In contrast, dry seasons last from December to April having the dry and cool climate. 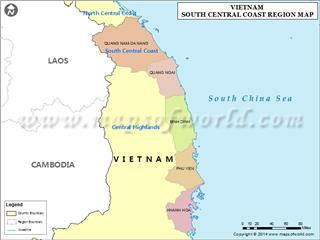 Temperature: On average, Ho Chi Minh City has 160 - 270 sunshine hours per month. The average temperature is 27°C with the highest number of 40°C and the lowest one of 13.8°C. Humidity: The air humidity of the city is high on rainy seasons (80%) and low on dry seasons (74.5%). The average humidity of air reaches 79.5%. Rainfall: The annual average rainfall is 1,949 mm. Each year, the city has 159 rainy days concentrated on May to November, especially in June and September. 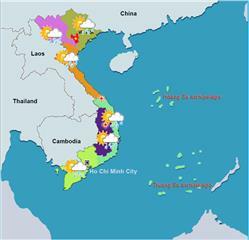 Wind: Saigon is influenced by two main directions of wind, which are the west - southwest monsoon winds and the north - northeast monsoon winds. The city is also less affected by storms. Ho Chi Minh City lies in the downstream of Dong Nai - Saigon river system; therefore, the city has a diverse network of rivers and canals. 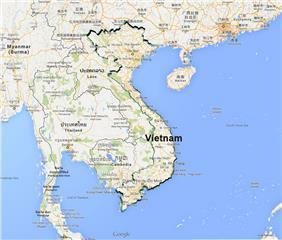 Dong Nai River is derived from Lam Vien Plateau having the large basin (approximately 45,000 km2). In fact, Dong Nai River is the main source of freshwater in the city providing 15 billion m3 of water. 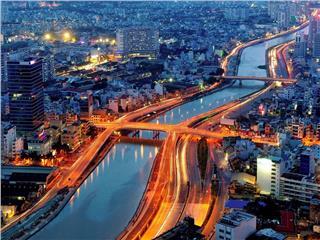 Besides, Saigon River is another big river of the city, which is originated from Hon Quan and flows through Thu Dau Mot. The River flows through the territory of the city with 80 km in length. It has the average flow of 54 m3/s with the width of 225 - 370 m and the depth of 20 m. Nha Be River is also another river of the city as well. 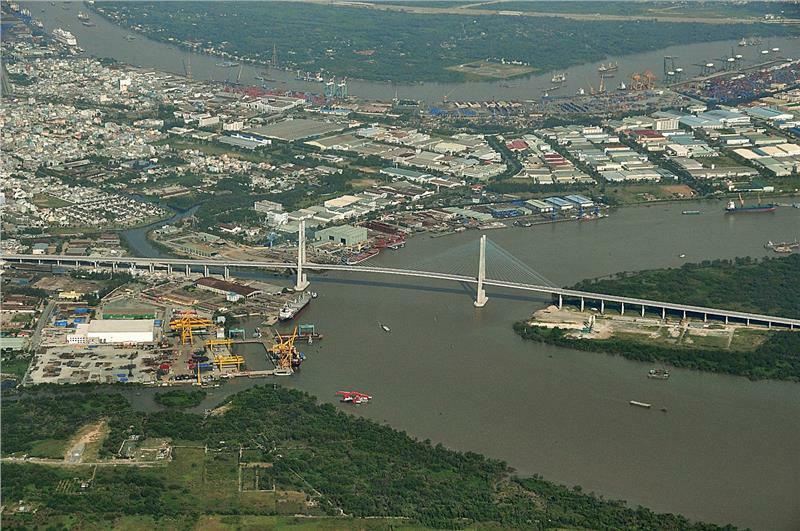 The River was formed at the confluence of Dong Nai River and Saigon River. 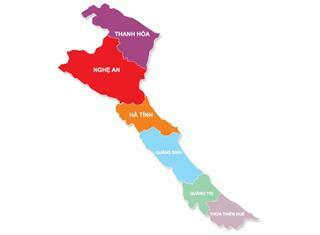 Nha Be River consists of two small segments including Soai Rap and Ganh Rai. Ganh Rai is the main way for ships going in and out Saigon harbor. 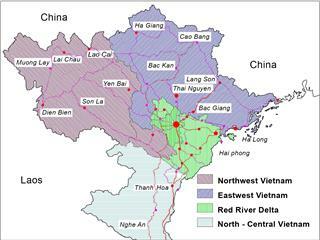 Apart from these main rivers, Ho Chi Minh City has a dense network of canals including Lang The, Bau Nong, Rach Tra, Ben Cat, An Ha, Tham Luong, Cau Bong, Tau Hu, Ben Nghe, etc. The system greatly helps the city in terms of the irrigation. 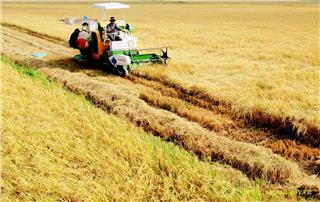 Nonetheless, the system is under the influence of semidiurnal tide which causes an adverse impact on agricultural production and restricts the drainage in urban areas. 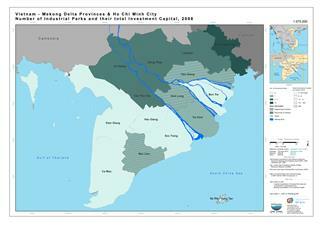 Thanks to Pleistocene sediments, the north of Ho Chi Minh City has a plenty of groundwater. However, in the south, the groundwater is affected by acidity and salinity. The old urban area off the city has the large amount of groundwater but not having the good quality. The groundwater here is exploited in three layers of 0 - 20 m, 60 - 90 m and 170 - 200 m. In District 12, the water ground has the good quality usually exploited in the layer of 60 - 90 m. This is an important additional source of water in the city. 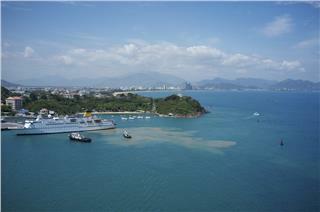 In terms of Con Dao geography, this is an archipelago in the South Vietnam and a district of Ba Ria Vung Tau. 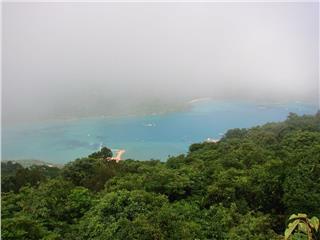 Con Dao has the high biodiversity with 28 species of mammals, 69 types of birds, 1,383 marine species, etc.